Valentine’s Day is a day to celebrate the ones we love. What better way to celebrate than with a kiss! But, no matter if it’s your 5-year old, your spouse, or your significant other, no one wants to kiss or be kissed by someone with bad oral hygiene. In order to keep your mouth healthy and attractive, Milestone Orthodontics in Paramus offer these easy steps to follow that can make your mouth kissable. Brush 2 Times Per Day — This is probably the most important thing you can do for your oral health. Brushing after every meal is even better! Floss Every Day — Flossing reaches the surfaces that your toothbrush can’t. If you don’t floss, you are missing 35% of your teeth’s surfaces, allowing plaque to continue its rampage on your teeth. Visit Your Dentist Every 6 Months — By getting a check-up and cleaning every six months, this will allow you to stay ahead of potential oral health issues, such as decay and gum disease. Limit Sweets — Each time bacteria comes into contact with sugar in your mouth, acid is produced, which attacks your teeth for at least 20 minutes and can cause tooth decay. If you wear braces, be sure to stay away from sticky, gooey, or hard candies. Not only are they bad for your teeth, they are bad for your braces. Eat Healthy Snacks — Certain healthy foods are not only nutritiously good for you, they also help your oral health. Carrots are a natural abrasive for your teeth, stimulating your gums and helping to get rid of sticky plaque. Pears contain a natural enzyme that actually freshens your breath. Drink Plenty of Water — A dry mouth is one of the main causes of halitosis, or bad breath. Water keeps the mouth moist and helps to rinse bacteria off of your teeth. Do A Self-Assessment — Lick the back of your hand, let it dry, and then take a whiff. If it doesn’t smell very good, you may need to take some action to make your mouth kissable. If you have time, brush your teeth and your tongue. If your date is coming soon, try chewing some sugarless gum, if you don’t wear braces, or chew some fresh mint. 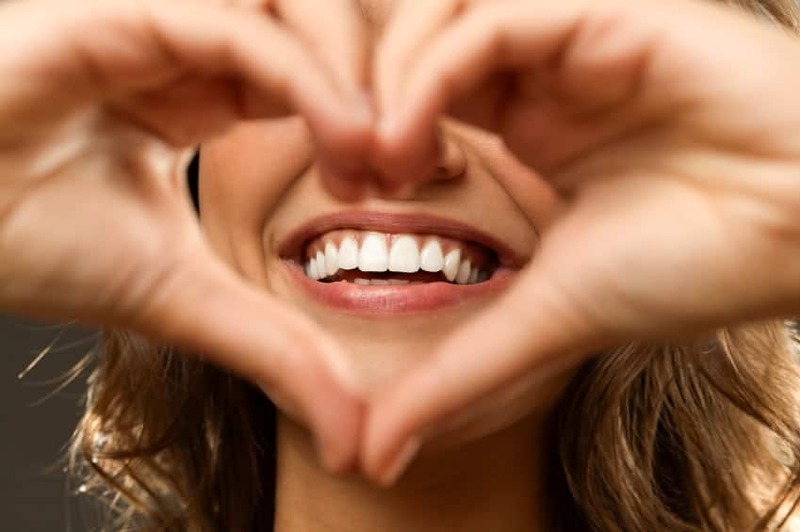 Milestone Orthodontics wants you to enjoy your Valentine’s Day and be sure to let your loved ones know how much you love and appreciate them!